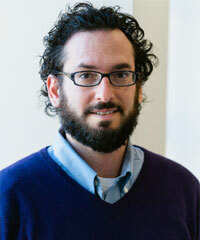 Joshua Dubler is a critically engaged scholar whose teaching and writing takes place where American religious history and ethnography intersects with critical theory, and with the theory of religion. Among other topics he teaches classes on Religion in America, Islam in America, Theories of Religion, Guilt, Genealogy, and Pilgrimage. He is author of "Down in the Chapel: Religious Life in an American Prison" (FSG, 2013). With Andrea Sun-Mee Jones, he is the co-author of "Bang! Thud: World Spirit from a Texas School Book Depository" (Autraumaton, 2007). With Vincent Lloyd, he is currently writing a book entitled "Break Every Yoke: Religion, Power, and the End of Mass Incarceration," which looks to marshal religious resources toward prison abolition. He is also working on a cultural history of the concept of guilt in America. Book Reviews for "Down in the Chapel"